Culinary profession is vastly dependent on food ingredients, among which condiments play the vital role. Every day we use different types of condiments for bringing different taste and flavor in cooked dishes. These condiments in addition to enhancing the taste of the food, have many medicinal benefits that help a lot for maintaining good health. Here I shall discuss some benefits of cardamom. Cardamom is rich in micronutrients and important vitamins and minerals. 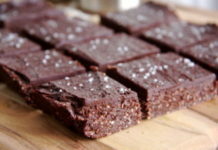 It contains niacin, pyridoxine, riboflavin, thiamine, vitamin A, vitamin C, sodium, potassium, calcium, copper, manganese, magnesium, phosphorous, iron, zinc etc. Studies have shown that dietary cardamom had a positive result in counteracting colorectal cancer to an extent up to 48%. Cardamom was traditionally considered as a herb in India and it is still considered as one of the essential ingredients in Ayurveda. 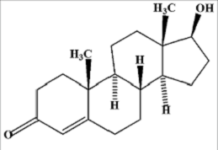 It is also used in traditional Chinese medicine. It is used to cure throat problems as well as a remedy for teeth and gum infections. Cardamom has many other medicinal effects like curing congestion of the lungs, pulmonary tuberculosis, inflammation of the eyelids, gastrointestinal disorders, disintegrating kidney and gall bladder stones. Cardamom significantly lowers blood pressure. Researchers have found that cardamom doses in cardiovascular conditions resulted in a lower heartbeat and control of hypertension. Cardamom contains micronutrients that can counteract the flow of lipids in the body. The antioxidant enzymes in cardamom lower the cholesterol levels and helps significantly controlling them. Cardamom is used in Ayurveda, Chinese medicine and the Unani system as a remedy for gastrointestinal disorders. The methanolic extract from cardamom helps in controlling gastrointestinal disorders such as stomach cramps, acidity or burning of chest, flatulence, and other gastrointestinal disorders. It also helps to digest. Cardamom has been used in Ayurveda, as a remedy for urinary tract diseases and infections such as cystitis, nephritis, and gonorrhea. In traditional therapies such as aromatherapy, cardamom has been used to cure asthma and bronchitis by improving blood circulation to the lungs. The essential oil extracted from cardamom has been tested and found that cardamom is effective in promoting blood circulation in the body. Cardamom is a good remedy for sore throats. Those having painful sore throats can gargle every morning with Cardamom boiled in water. In Ayurveda and traditional Chinese medicine have been using cardamom for curing dental problems. 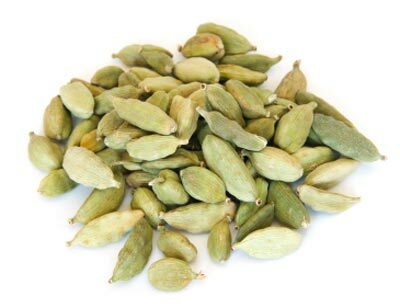 Cardamom pods and seeds are very good ingredient as breath freshener if chewed and kept in the mouth for some time. Due to the presence of its oil, it gives the special flavors and aroma. Thats why the essential oil of cardamom is used as a popular ingredient in chewing gum. Cardamom possesses anti-inflammatory and anti-carcinogenic properties. Therefore, it is good for muscle and joint pain according to the Ayurveda.